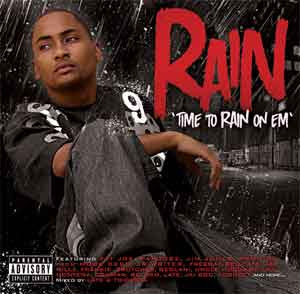 Randy "Rain" Watford is the personification of a celebrity in the making, not just because he provides the thirsty hip hop fan with something to satiate their thirst, but because he displays true understanding of two key elements a person needs to possess to get a head start in the game, focus and drive. Born and raised in the city of Fayetteville, North Carolina, he emanates a knowledge so rare for someone so young in years. Where are you from and what's the Hip-Hop scene/industry like there? Im from Fayetteville NC. The hip hop scene is cool, we dont have a lot of outlets and its not hard to get your name poppin’ here, its just hard to take it to the next level. How long have you been rapping and what or who influenced you to pick up the microphone and start writing? I been rhyming since I was like 9, life influenced me, music to me is a feeling you dont know how to speak on but at the same time its too much to hold in. I had a lot on my chest at a young age at that made me want to pick up the mic, it was my way of getting my story out. When did you get your first break and was there anyone person who helped along with your music career? I still feel like I haven’t got my real break, even though I accomplished a lot, I dont feel like I got my break yet. Im still grinding. What have you released so far and what has the response been like? I released my first real mixtape "Only in America" last year, it was great as far as the internet and the streets are concerned. I got a lot of good feedback, I also put out a mixtape with E. Nyce called "Call of Duty", that was me and my old team, we still good we just dont rock as far as the music goes. I have some fire dropping real soon with Don Cannon though, a new mixtape called "Highly Unanticipated", its going to be my best work thus far!!!! What would you is the most popular track that you have released to date? I have a track called "Carolina Fly" that is buzzing in the south heavy right now, it had that crazy club bounce, my man Oz Touch did the beat, it’s serious. I worked with The Heatmakerz, Nottz he did “That’s That for Snoop”, but mostly I keep it in house, shouts to Rik Marvel, Ghost and Oz Touch. What studio do you record in? I have my own spot called Direct Studios. I live in New York now so my studio is in the Bronx, my man Money Mark engineers all my sessions and we keep everything in house. What artists have you collaborated with and what's the most memorable collaboration that you have recorded? I worked with so many people, Rsonist from the Platinium Producers the Heatmakerz, Lord Tariq, Jae Millz, my man Cory Gunz, I cant name everyone but that’s a few. What's your label situation? Who you signed to and do they have distribution? Im signed to myself “First In Flight Ent.” Im my own boss, flip the majors, they are full of politics and bull. I’ve turned down so many deals for the simple fact I cant let the game pimp me, i wouldn’t mind signing to a major if they understood my vision, I have a need to be heard. When you sign to a major they wont release your project unless they feel like you are ready, and nowaday they have no clue when to push the button. What are your views on the mixtape game? Is it saturating the marketplace with bootlegs or are they creative masterpieces to help rappers blow? I feel like whenever you have a lot of garbage out it feels like its over saturating, I look at mixtapes as a great outlet but its so many people doing tapes and the majority of them aren’t good. I really sat down and put thought into my new tape "Highly Unanticipated" I feel like no one is anticipating my music so I based my whole tape around that. I came up with some funny skits and some great and powerful songs, not just a 30 track cd rappin on other peoples beats, I feel like this is what mixtapes are missing. With so many rappers in the game how are you planning to make noise and get noticed? I just have to do me, I make good music and the type of music I make I dont see anyone else doing. Most of these guys dont have that grind and passion that I have, im willing to go the extra mile to be heard, whether its doing the mixtapes, making my own videos, hitting the road and sleeping in the car outside of these radio stations. Im ready for whatever, Im a star, Im just waiting for everyone else to notice. Have you featured or hosted any mixtapes? I been on everyone’s tape from E. Nyce, Big Mike, P. Cutta, DJ Kurupt, Capone, etc. the list goes on. I have the new mixtape coming out called "Highly Unanticipated" hosted by Don Cannon. 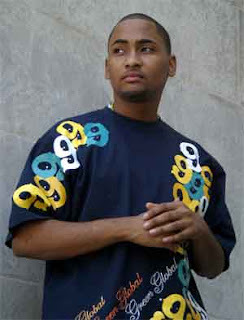 the cd also feature Swizz Beatz, Smack from Smack Dvd, Kay Slay, and my first in flight movement. Any tips for someone just coming into the game? You just have to be dedicated and be careful who’s opinion you listen to, keep your circle tight and love what you do, if love what you do it will never feel like work.